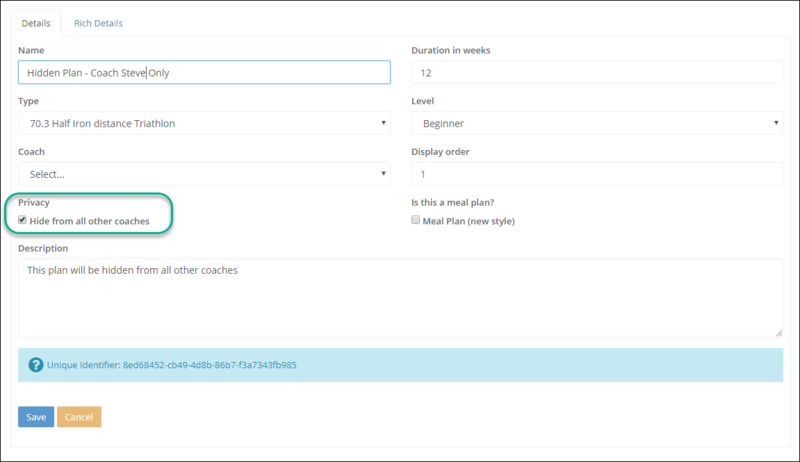 It's now possible for a coach to create a private template training plan that only they can see. To make a plan private, go to the plans list and edit it. Check the privacy box to set "Hide from all other coaches" option. The plan will never display for any coaches other than yourself. Note: this will also force the plan to set your coach account as the owner.